The Legend of Zelda: Twilight Princess Winner - Jennifer D.
Hey there. 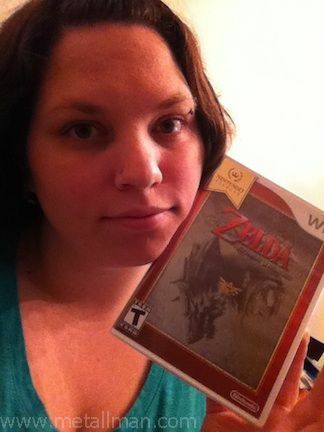 Check out this great pic that I recently received from The Legend of Zelda: Twilight Princess winner! Thanks Jennifer! You can follow Jennifer on Facebook and check out all the awesome giveaways that she has entered and shared. I'm glad that my giveaways have found a home there! Thanks again Jennifer and hope to see you stick around for more free stuff!!!! Later!